So I continue dreaming of fall. I got the cutest new fall fabric in today. But I have not washed it yet. Do you wash all your fabrics? I wash every single piece of fabric that comes in. For one thing, to preshrink it. It's not like the dollies would complain about their clothes getting too tight after the first laundering...But you never know who handled it, right? I can't wait to cut into this cute new fabric. Maybe tomorrow? 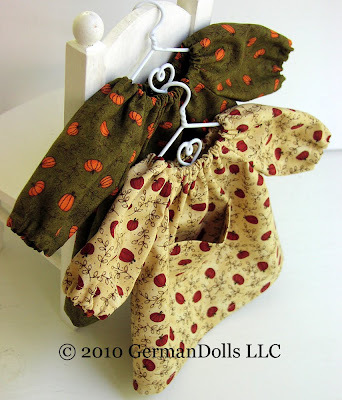 But for now I have been focused on making more little Pumpkin Pocketdresses. I so adore that cute fabric. Luckily I got a big stash of it. Hope I never run out! Now which color do you prefer? Green or the wheat color? I love both so much! I'm ready for Fall too! We've had a slightly cooler few days but temps back to 90 on Monday...sigh. And I love the green because it shows off the orange pumpkins so nicely! 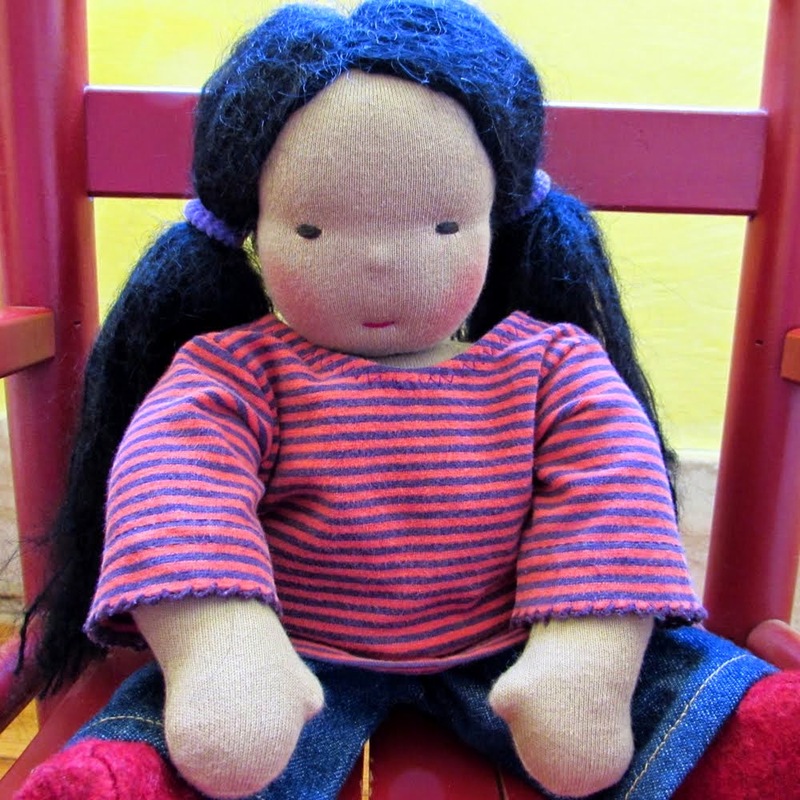 I'm strolling through your archives and just loving your dolls! I wanted to say that "YES" I was every single piece of fabric that comes through my door with one exception, I recently purchased a 'layer cake' fabric set and I did not wash it first!